Getting you fast help when you are in the midst of a home flood is a job that the water damage Windsor crew at 911 Restoration Connecticut takes very seriously. When water leaks into the cracks of your home, homeowners can call the water damage Windsor pros and they will get mold removal Windsor service agents at their door within 45 minutes, ready to get to work. It is incredibly important to get water out of your home as quickly as possible, so our water damage Windsor crew is available 24/7/365. Our mold removal Windsor unit understand that the longer water sits on the home’s surface, the more mold and water damage can be done. No matter what time you contact our office you can be confident in the fact that we will arrive quickly after receiving your emergency phone call. Our water damage Windsor professionals are consistently standing by every day of the year, including all holidays, to implement same day services for every water-based situation we are called to mitigate. 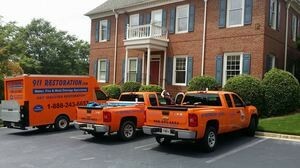 So, call our water damage Windsor leak repair team with 911 Restoration Connecticut and we will give you a free home inspection as soon as we arrive today! The water damage Windsor unit does not want you dealing with a faulty sump pump in the middle of a powerful rain, because then your property may become flooded, which is why you need to be prepared before the rainy season begins. If your basement sump pump gets clogged, it is important to have a backup pump installed. You need to regularly check them to make sure they are ready before the water arrives. You can easily do this by fill the sump pump pit with water and making sure the pump switches on and sends water out the discharge line. If you have a backup pump, repeat the same test, but first unplug the main pump. If the backup pump runs on batteries that are more than two years old, replace your old sump pump. Even though it may cost you a couple hundred dollars, that is way less than renovating a flooded home. Through all of our years dealing with all types of floods and leaks, our mold removal Windsor professionals know that there are many components that cause fungal growth. A small leak may not seem like a big deal, but when it is left to drip in a humid environment, our water damage Windsor teams know to act quickly. Our water damage Windsor staff address the water issues that may be the main source of the mold issue, which is something our mold removal Windsor technicians know not all home restoration companies will do. In fact, our water damage Windsor agents will completely remediate the water damage before even starting on the mold eradication, just to be completely sure that every aspect of the situation is under control. Let our mold removal Windsor specialists show you just how dedicated we are to keeping your home in the safest possible condition. Call our water damage Windsor technicians the moment you realize your pump has stopped working and water is flooding your home and we will offer your fast and affordable restoration services. Making sure you and your family are in an emotionally stable place after a flood as invaded your home is something that our water damage Windsor emergency operation makes sure to do. Our mold removal Windsor specialists understand how overwhelming these situations can be, and we want to be the people who provide you with the support you need to get through such an incident. Not only will our water damage Windsor experts restore your home and remove any mold growth, but we will do everything necessary to restore your peace of mind. Our mold removal Windsor experts always make it a priority to provide all of our customers with the same degree of customer service, no matter how big or small the water damage may be. Our water damage Windsor team understands how overwhelming these situations can be, which is why our staff takes over everything once our water damage Windsor technicians arrive on the scene. Our mold removal Windsor agents want your household to become the safe, healthy environment your family knows and loves again, which is why our water damage Windsor specialists are so meticulous with our work. 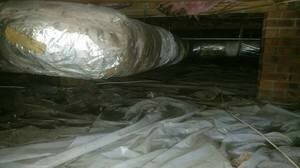 Our mold removal Windsor pros uses a comprehensive system that involves setting up vapor barriers which stop mold spores from spreading around the living space. Along with ensuring that your home is completely sanitized, our water damage Windsor crews also provide you with around the clock customer service, making it possible for our mold removal Windsor unit to answer any questions you may have at any time. Let our water damage Windsor team with 911 Restoration Connecticut be there for you during this difficult time, so call us today and we will get you on the path to a fresh start today!